I am twenty-two years old and my boyfriend is twenty-four. Though I am two years younger than him sometimes I feel like I am ten years older. Since we were in high school together it seems like he has not grown up a bit. All he thinks of is sports and going to the bar to see his friends. He doesn’t get drunk but a lot of his paycheck is spent every week in the bar. Last year we moved in together and it looked like he was finally settling down. We had been talking about getting married because I am of an age to start raising a family. Then the basketball season started and he was gone three or four nights a week. When I try to talk to him about it he is agreeable and says he will change. Then he soon slips back into the same thing. I really love him but I am beginning to think he is never going to grow up. How much longer should I give him? Here is the story on maturity. It is not going to sneak up on a person and suddenly, overnight they change from an adolescent to a mature responsible adult. Maturity generally comes slower to men than to women. In your boyfriend’s case it may not be coming at all or it may be coming too slow for you to wait around. Why don’t you leave him? The shock might make him turn himself around. If it does not at least you won’t be wasting any more time. My family likes my boyfriend and are all for our marriage. He stays at my house and we are planning a wedding. My best friend does not like him at all. She tries every thing she can to come between us like planning things for us to do like have some drinks together. Then her boyfriend shows up even though my boyfriend was not even invited. Her boyfriend used to be my boyfriend so it makes me uncomfortable. My boyfriend is nice to her, though he does not like her, but she won’t even come over to my house since he moved in. What should I do? She is no friend. She is in competition with you. Put some distance between the two of you. Start by not asking her over to your house. When she asks you out, tell her you are going out with your boyfriend. It won’t take her long to get the message. If she does not change it is time to look for a new best friend. 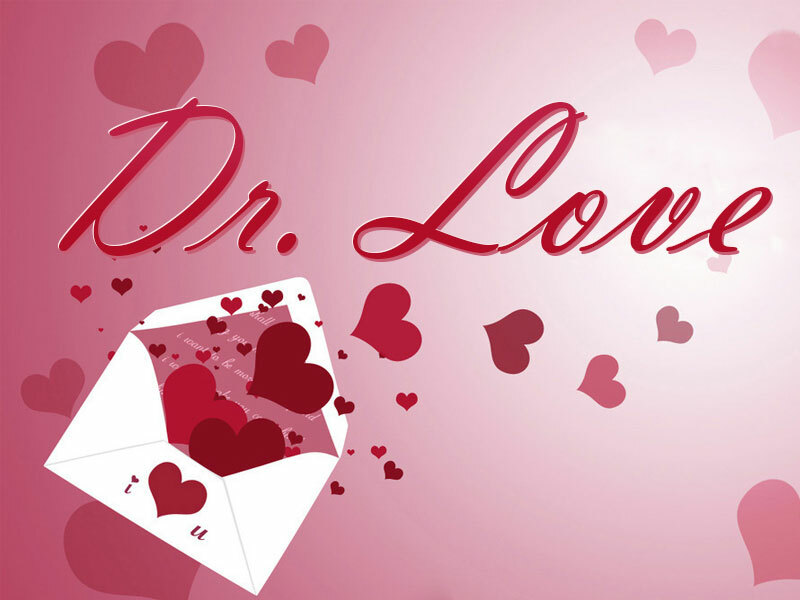 Doctor Love: Should I change to win her?